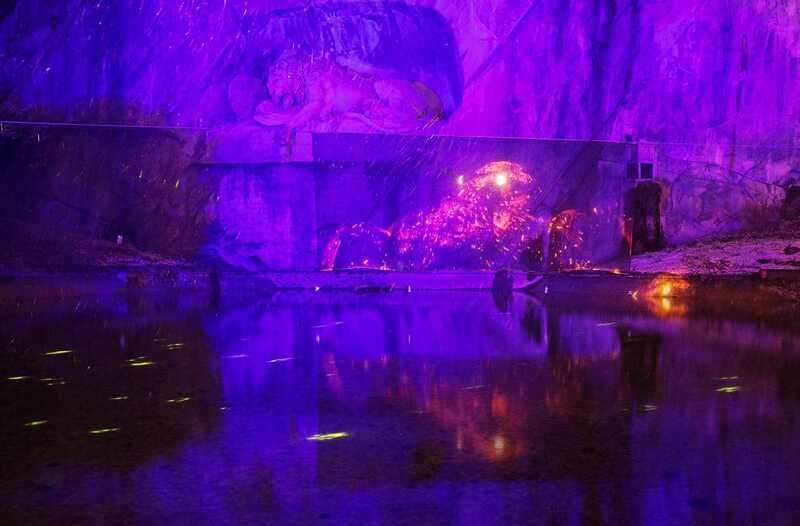 LILU LIGHT FESTIVAL UNTIL 10th – 20th JANUARY: Lucerne is celebrating the “LILU Festival of Lights” with light installations and exhibits all over the town from 10th – 20th January. Most exhibits are free but the son et lumiere concert at the Hofkirche (for which you do need to buy tickets) is stunning and very worthwhile. Find out all about it here. ROCK THE BALLET 8th – 20th JANUARY: Rock the Ballet is back in Zurich with its 10 Year anniversary tour! Expect to enjoy great music along with lots of dancing, amazing energy and fabulous acrobatics from the Bad Boys of Rock! What’s even better is that with our NewInZurich promo code MA20RTB you get 20% discount off all tickets! Find out more here. UK RESIDENTS IN SWITZERLAND & BREXIT – BRITISH EMBASSY ROADSHOWS: The British Embassy are running a series of roadshows all over Switzerland to inform UK residents in Switzerland about how they will be affected by Brexit. Read all about it here. 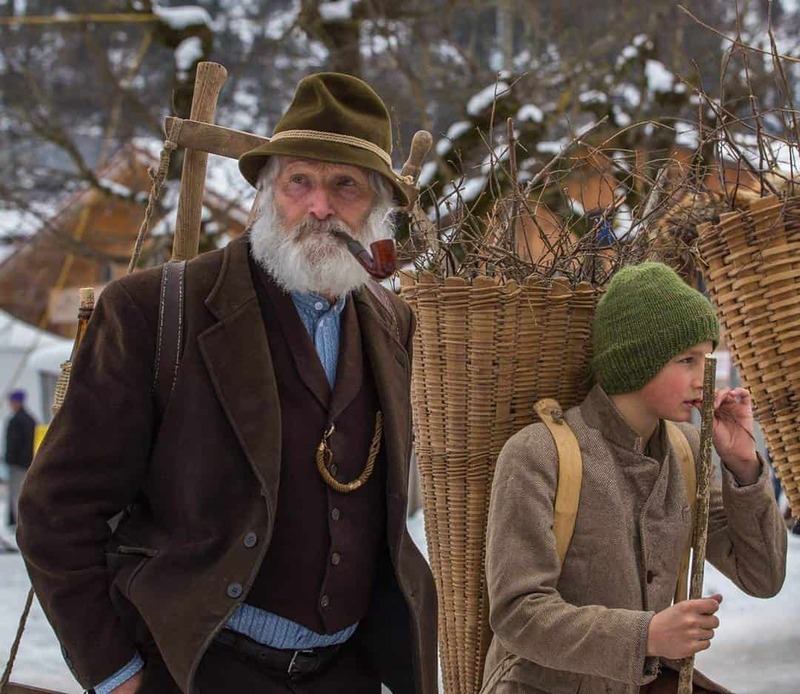 BELLE EPOQUE WEEK KANDERSTEG 20th – 27th JANUARY: Don’t miss the amazing spectacle of the Belle Epoque Week in Kandersteg. It’s great to see everyone dressed up and the old cars and carriages transforming the town of Kandersteg into something out of the 1900s. Take a look here for more information. *CONTEST* TO WIN ONE OF 10 PAIRS OF ZÜRICH CARDS: Enter our contest to win one of 10 pairs of 72 Hour Zürich Cards in our contest which is running both via email and on Instagram. You can enter both via email and via instagram to have double the chances of winning (just hashtag any one of our Instagram post #zccontest. Contest closes 29th January. Find out all about it here. WORLD ECONOMIC FORUM 22nd – 25th JANUARY: The WEF 2019 will be taking place in Davos from 22nd – 25th January. Find out more here or read Ludmila’s experience in Davos last year here. WELSH ALPINE SKI CHAMPIONSHIPS 22nd – 25th JAN: The Welsh Alpine Ski Championships will be taking place in Champéry in Switzerland from 22nd – 25th January. For more information see here. SNOW POLO ST MORITZ: 25th, 26th 27th JANUARY: Taking place on the frozen lake at St Moritz experience the glamour and excitement of this unique event. Take a look here for more information. 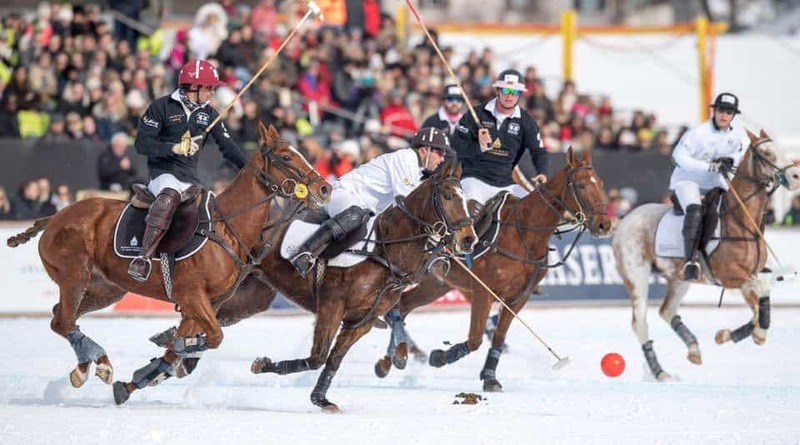 WHITE TURF ST MORITZ 3rd, 10th & 17th FEBRUARY: Another glamorous event taking place on the frozen lake at St Moritz – the White Turf horse races. Find out all about White Turf here. WORLD SNOW FESTIVAL GRINDELWALD 21st – 26th JANUARY: Another excursion to put in the diary for 21st – 26th January is a trip to the World Snow Festival in Grindelwald. Find out all about it here. 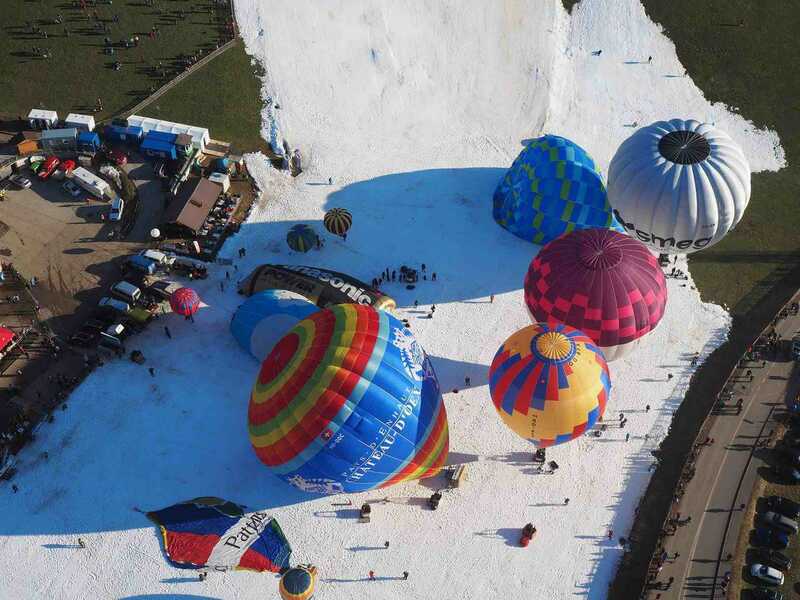 CHATEAU D’OEX BALLOON FESTIVAL 26th JAN – 3rd FEB: Don’t miss the famous Chateau d’Oex hot air balloon festival taking place from 26th January till the 3rd February this year. It’s a wonderful event to witness and you can even book balloon flights too. Click here for more information. GREENLAMP CHARITY LUNCH AU PREMIER RESTAURANT ZURICH 31st JAN: Help support the GreenLamp Charity by attending the flying lunch and talks at Au Premier Restaurant on 31st January. See details here. MAN’S WORLD ZURICH 31st JAN- 3rd FEB PLUS WIN TICKETS!!! : Man’s World will be back in Zurich with its gadgets, high tech, game simulators as well as established brands like Victorinox and Mini and lots more. We have a contest sponsored by BatMaid the company that provides cleaners (and does all the paperwork for you) for 4 free tickets. Find out all about it here. YAMATO – THE DRUMMERS OF JAPAN JANUARY 29th TO FEBRUARY 3rd: Yamato the Drummers of Japan will be in Zurich from 29th January till 3rd of February at Theatre 11 in Oerlikon. Their lates show Chousensha is bound to enthrall you with their amazing energy, power and harmony. If you live in Basel they will be performing there from January 22nd to 27th. For more information see here. ART ON ICE 2019 FEBRUARY 7th – 17th: Art On Ice will be back in Switzerland from 7th – 17th February and in Zurich at the Hallenstadion from 7th – 10th. 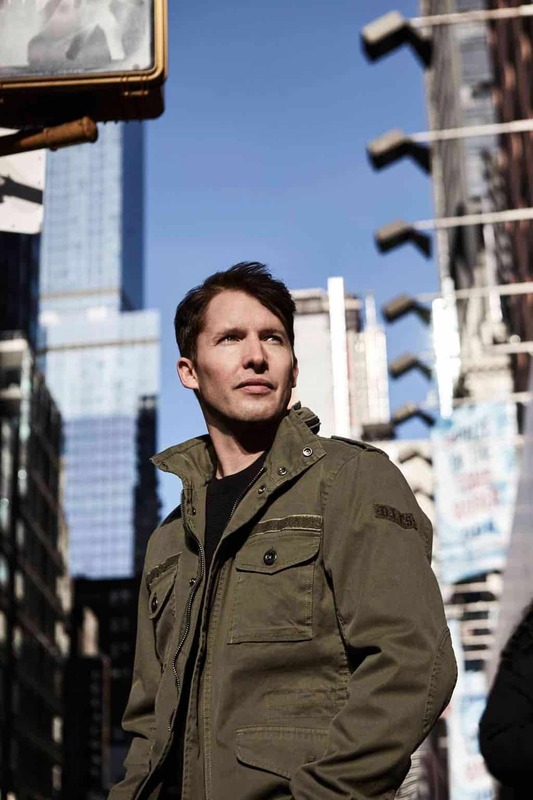 With a fabulous line up of Olympic and World Ice Skating Champions as well as James Blunt and Stefanie Heinzmann singing, it’s a show not to miss! For more information see here. PHOTOBASTEI PUNK & BANKSY EXHIBITION 10th JAN- 3rd MAR: The Photobastei is holding a series of exhibitions from 10th January till 3rd March under the theme “Punk”. One of the exhibitions it all about Banksy the famous graffiti artist. Find out more (in German) here. TOP TOBOGGANING NOT FAR FROM ZURICH: Check out these great places to go tobogganing here. THE ICE SKATING RINKS IN ZURICH: Check out or guide to the ice skating rinks which in operation in and around Zurich. Take a look here. FANCY STAYNG IN AN IGLOO? : There are a number of igloos which you can stay in all over Switzerland and in Germany and Austria too. Find out all about this unique experience here. 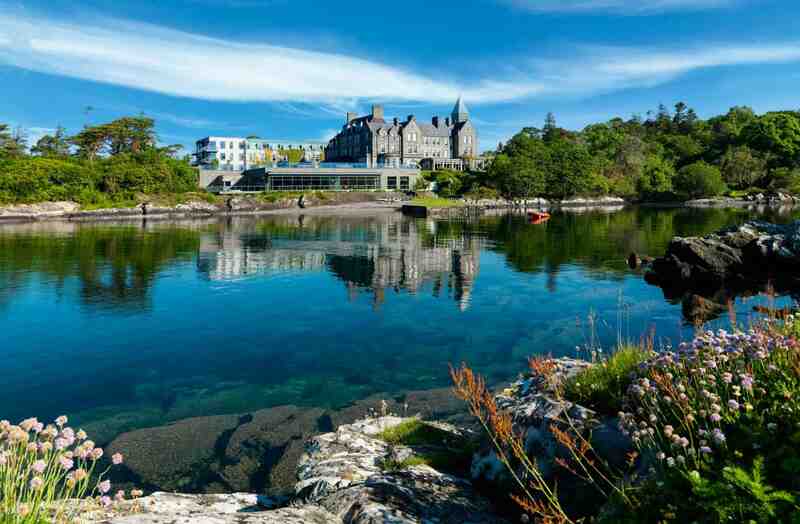 PARKNASILLA – A LUXURY EXCAPE IN BEAUTIFUL SOUTHERN IRELAND: We recently stayed at Parknasilla, the beautiful hotel, spa and resort in Southern Ireland. Read all about this beautiful hotel here. TEN REASONS TO VISIT LUCERNE: Even when the LILU Festival of Lights is not taking place, Lucerne is a wonderful place to visit. Find out more about this alluring Swiss city here. SKIING IN LENZERHEIDE – AROSA: Ever since the gondola was installed linking the ski resorts of Lenzerheide and Arosa a great ski opportunity was opened up offering 225km of prepared pistes. We visited the resort over Christmas so find out more about the resort here. SKIING IN FLUMSERBERG: A great ski resort not from Zurich is Flumserberg. If you fancy going skiing not too far from home take a look here. SILS MARIA – A SWISS GEM: Sils Maria is a beautiful location in Oberengadin. Perfect to visit any time of year it is stunning in Winter.Read all about it here. SPAS AND HAMMAMS CLOSE TO ZURICH: Beat the cold in Zurich by warming up in a spa or hammam. Find out more here. 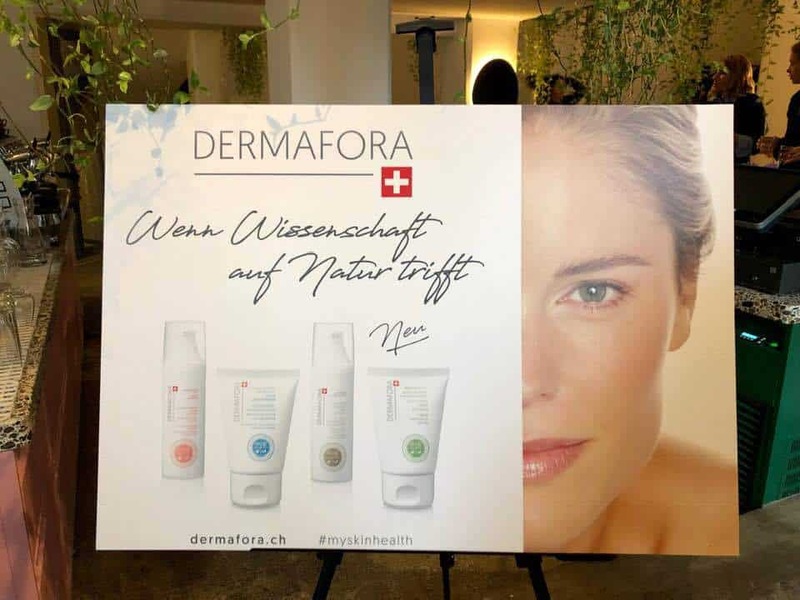 DERMAFORA – A NEW AFFORDABLE BRAND OF SWISS SKINCARE: There’s a new Swiss Skincare brand which will be launching in Switzerland on 1st February called Dermafora. Not tested on animals and using top research and pure ingredients the range starts at just CHF 9. Find out more here. 1200 DRINKING WATER FOUNTAINS IN ZURICH: Did you know that there are over 1200 drinking water fountains in Zurich? No need to pollute the planet with “one use PET bottles” – simply keep an empty one on you (or a SIGG bottle for example ) so that you can refill as you go. Find out more here. FONDUE AND RACLETTE IN ZURICH:Check out our guide to great Fondue and Raclette Restaurants in Zurich. Take a look here. CHEZ VRONY POP UP AT WIDDER HOTEL UNTIL 14th FEB: Enjoy your raclette in style with Ruinart Champagne at the new Chez Vrony pop up at the Widder Hotel from 9th November 2018 till 14th February 2019. Find out all about it here. TOP CAFÉS IN ZURICH: check out our guide to great cafés in Zurich – see here. GREAT BRUNCHES IN ZURICH: take a look here at out Brunch Guide. RECIPE OF THE WEEK – CHLORELLA DETOX SMOOTHIE: If you’re looking for a smoothie detox recipe have a look at this one which uses Chlorella vegan protein powder. See recipe here. 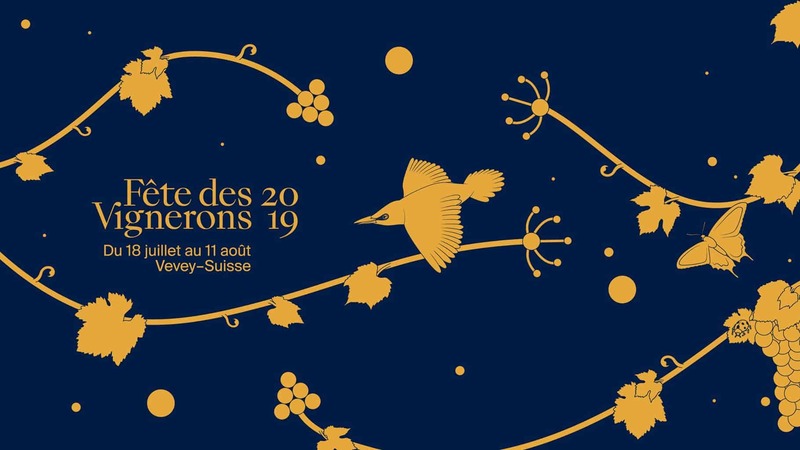 FÊTE DES VIGNERONS 2019: You may wonder why we’re posting about this wine event now as it takes place in Vevey in July and August 2019. However, the tickets went on sale in September and this very special event only takes place about once every 25 years! If you’d like to find out more take a look here. FASCINATING FACTS ABOUT SWITZERLAND: Check out these facts about Switzerland and see how many you knew already! Take a look here. HUGH JACKMAN AT HALLENSTADION ZURICH 19th MAY: Heart throb Hugh Jackman is performing in Zurich on 19th May at the Hallenstadion for his World Tour “The Man. The Music. The Show.” Find out all about it here. NEW TO ZURICH OR SWITZERLAND? Then feel free to check out our guide for newcomers full of tips. PHOTO TRIP TO VENICE CARNIVAL: Want to improve your photography skills? 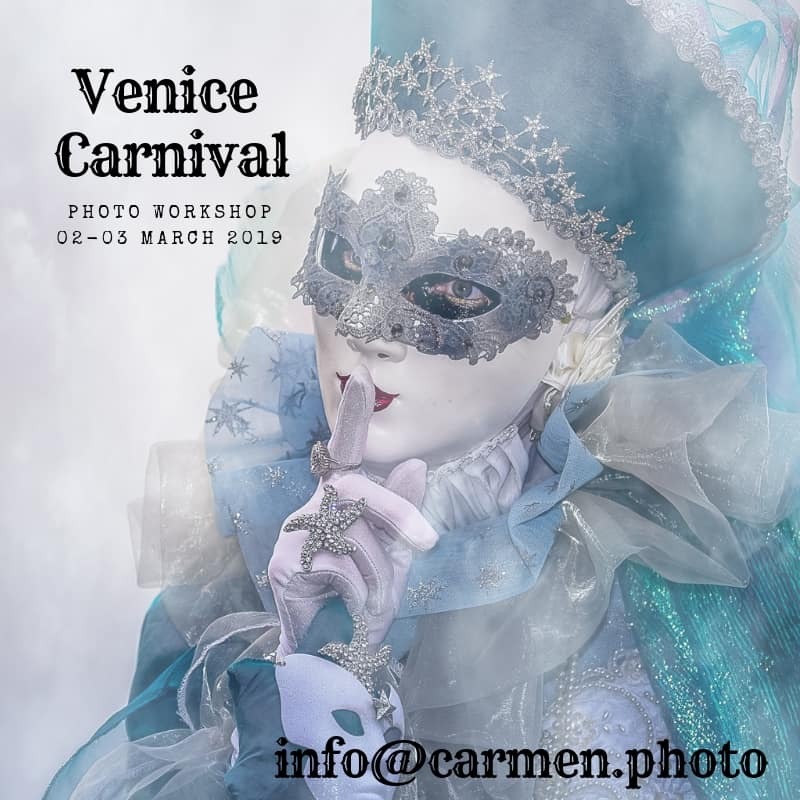 Carmen is organising a Photography Trip to Venice Carnival again this February (see her photos from the Carnival last year). If you would like to know more please contact Carmen here for more information. TONHALLE CONCERT 18th JANUARY ! The pair of tickets to the Tonhalle Concert on 18th January conducted by Paavo Järvi was won by A. Barberas. Congratulations! Do check back during the week as we often update – and don’t forget to Subscribe ! 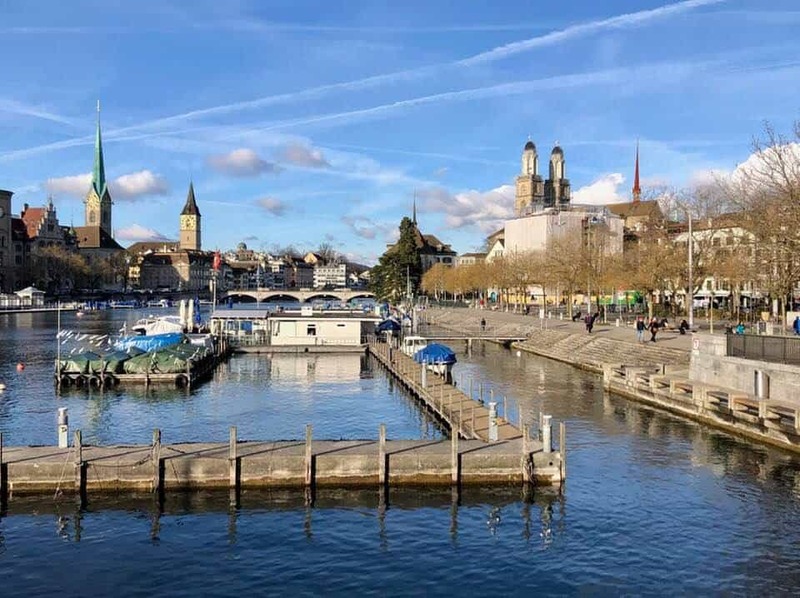 Share the post "What’s On In Zurich 2019 Mid January Onwards"